2017 was a great year for GeoCat. For another year we did what we love to do and we challenged ourselves to do it better and better. We celebrated our 10th anniversary! In the beginning of the year we grew up our team, welcoming two new members. We would like to continue doing so, and that is why we are always on the look for talented and ambitious people, who like to think out-of-the-box. We have kept our commitment with the geospatial community, sharing experiences and collecting feedback and ideas for future developments. We truly believe in this mutual exchange of energies, and that is why we hold the diamond sponsorship of OSGEO and sponsored some important GIS conferences around the world. It is thrilling to be part of the synergy that takes place between businesses, governments, developers, academia and end users, in the GIS world. In 2017 we strengthened and consolidated our participation in the GIS community, with some relevant roles assumed by Geocat staff. We were extremely pleased to see Maria Arias de Reyna become a OSGeo Board member, a position which acknowledges her deep commitment with FOSS4G, specially in the Spanish speaking community around the world. Jorge de Jesus, Juan Luis Rodríguez Ponce and Joana Simoes became OSGeo charter members. In addition, Joana became vice-president of the OSGeo.pt association and GSDI Board Director for the Industry Advisory Council. 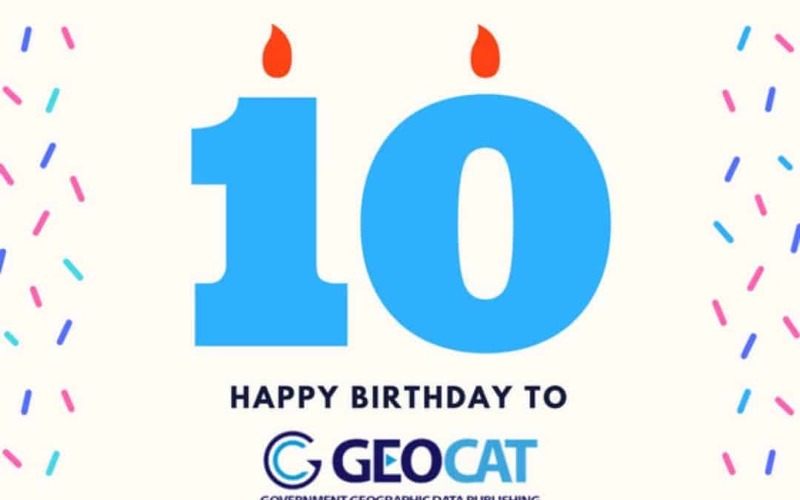 Last year Geocat joined OGC, seeking to get more involved and actively participate in the discussion of the standards which we always implemented. Last year we also travelled a lot! We joined the global FOSS4G in Boston, FOSS4G EU and FOSS4G Argentina, the QGIS Developer Meeting in Essen, the INSPIRE conference in Strasbourg, SIGLibre in Girona, JIIDE in Lisbon, SASIG in Porto, FOSS4Gnl in Groningen, Open Geo Dag in Amersfoort, GeoBuzz in Den Bosch, OGC TC meeting in Delft and OGC plenary in New Zealand. We met a lot of interesting people and we learned how GIS infrastructures are implemented in different countries. Standardization, open data, citizen science are other exciting and promising topics! Our daily work is to support customers and communities, as well as to improve the FOSS projects that we love. These are still our favourite investments of time and expertise. We reached and collaborated with developers of some the biggest FOSS projects in GIS sector. Noteworthy are the QGIS extension, for reading and writing GIS projects and associated resources in a GeoPackage file. We also took an active role on the group efforts to improve the metadata support in QGIS, materialized on #QEP91. Obviously a great part of our efforts are still on GeoNetwork. In June we organized and joined the OSGeo code sprint in Bolsena. It was the 10th anniversary of this event and it is still the best way to meet old friends, welcome new ones and plan together the future of this important project. The 3.4.1 version of GeoNetwork is out, together with a new makeup of the website. We suggest you to have a look, as there are a lot of nice new features and improvements. Last year we also started incorporating new technologies in our daily work. Among others, we were very impressed with the many improvements in the Docker framework. If you agree with us, please try the official GeoNetwork image in Docker Hub, and if you like it do not forget to give it some love (e.g. : stars)! We are deeply committed to make the GIS world free, accessible and easy. That’s why we have designed a “key-on-hand” solution: Live. Live is a user friendly online system, which lets you setup a fully functional SDI on the cloud, in only a few minutes. Stay tuned because 2018 is going to be an interesting year for this project. We welcome 2018! We are ready to take another round. It is now time to gather ideas and decide where to focus our energies in our traditional yearly meeting, that awaits us in January. Stay in touch!